For many, having depression is like walking through mud every day, so today the Chiefs Rugby Club staff have traded their shoes for gumboots to generate awareness and raise donations for I Am Hope to provide free counselling to children in need. The staff dedicated their morning off to walking a 3km Waihi Beach Trig Track in their gumboots to show support for Gumboot Friday and I Am Hope. 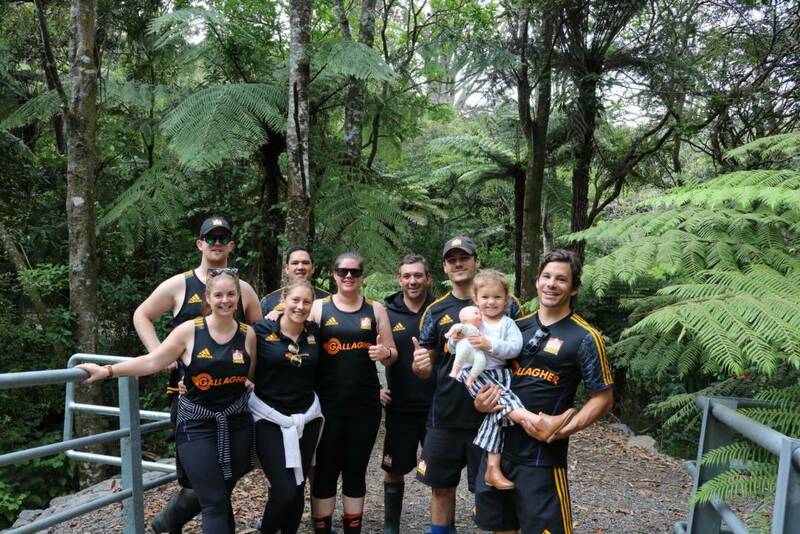 The Waihi Beach Trig challenge is a current fundraiser where people are encouraged to walk the track 48 times, the equivalent of walking up Mount Everest. The Gallagher Chiefs will also show their support for I Am Hope at their upcoming home game against the Blues at FMG Stadium Waikato on Saturday 13 April. Collection buckets for I Am Hope will be placed around the ground for anyone wishing to donate. The Gallagher Chiefs will also be encouraging game goers to wear their gumboots to the Saturday fixture against the Blues. A special ‘Gumboot Cam’ will scan the live audience & show on the big screen to find fans in their gumboots. If a fan holds up their gumboots on the big screen they will win an instant prize of Gallagher Chiefs merchandise. For those who don’t have a pair handy, Match Day sponsor Farmlands have jumped on board the cause. $5 from each pair of Red Bands purchased at a Farmlands store within the Waikato will be donated to I Am Hope. Chiefs Rugby Club Sponsorship and Community Relations Manager Emma Langman said the Club were keen to take the opportunity to support a great cause.